No doubt some of you will know me from the old UKGB Forum, and may of purchased wood from me before. 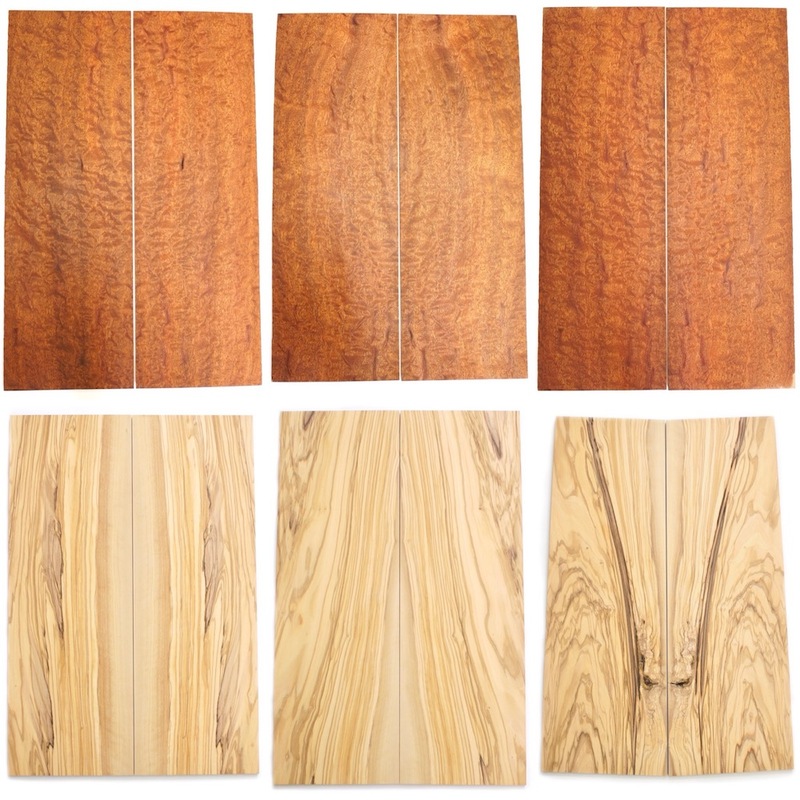 I’ve just launched a shop on my website, with a small selection of wood for guitar builders. 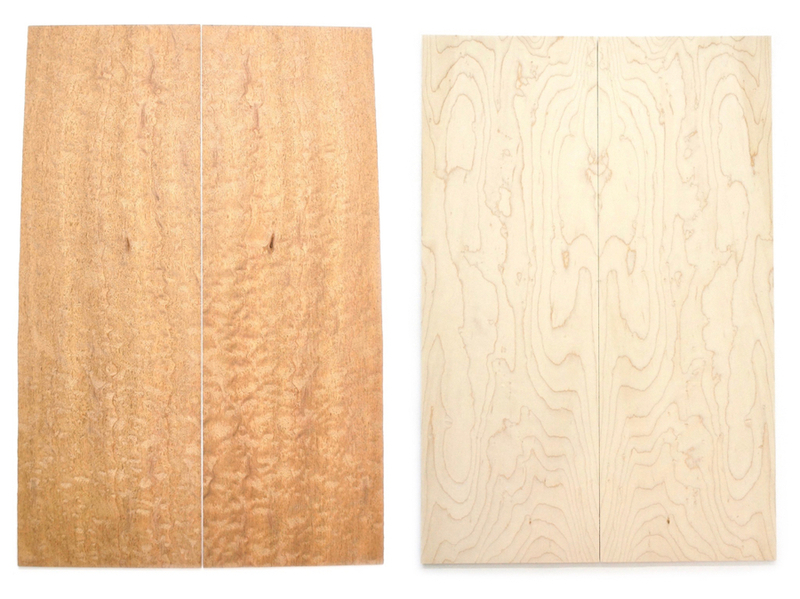 I’ll mainly be selling bookmatched tops for solid body guitars/basses, although I might occasionally have some fretboards or body and neck blanks. I’ll be adding more items to the shop over the coming weeks/months. To begin with I have some Pommele Sapele and some stunning Italian Olive. I’ll update this thread when new stock is added. If anyone has any questions feel free to ask, or send me a PM/email. Lovely looking guitars on your website! I've just listed 3 body blanks in the shop... as previously mentioned, I intend to specialise in selling bookmatched tops, these are all surplus from my own stock. The 10% discount offer for Fretboard members applies (see 1st post for details). They seem good value (damn you). 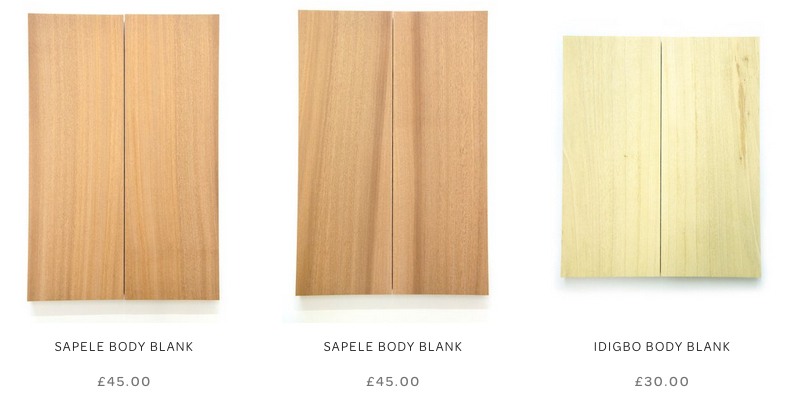 Thanks to everyone who's purchased wood from me over the last month The discount code has now expired, however I've just reduced all 3 remaining Pommele Sapele tops by £10 each! UK postage is just £5 (flat rate). I've just added 3 Bubinga tops to the shop.. Maple tops will follow sometime within the next week, including a couple of really nice Birdseye tops. The 'Erica' guitar on your site is beautiful. What neck profile is that? Thanks. That was a quite a special guitar to build, it was commissioned by a friend in memory of his daughter. I carve my necks by hand, working to exact measurements at various points of the neck in terms of thickness.. but as for the overall shape, I don't really aim for any particular traditional profile, I simply use my hands to determine what feels good to me. Bank Holiday SALE - 25% off all wood orders! Enter this code: ABH25 at the checkout and 25% will be discounted from your order. Just a quick update to mention that the web shop will be closed temporarily for 2 weeks from this Sunday (Sep 9th - 23rd). Thanks to everyone who's placed an order, there's still a few tops left.. more stock will be added soon. A couple more tops just added.. I'll be taking a break from wood sales at the end of this month, as I'm currently busy with new bass builds and other projects. More stock will be cut and listed in the new year. There's only a couple of Sapele tops left in stock. I'll knock 25% off for forum members.. just enter the code FRET25 at the checkout (offer ends at midnight on October 31st). I've been busy with building instruments recently, so no bookmatched tops available at the moment I'm afraid. However, I've just added a few body blanks to the shop.